My, my how times flies by! My lil' man came home so small and skinny and now our lil' tub is one healthy looking boy! I can't wait to see what his stats are at his 2 month check this Thursday!!!! 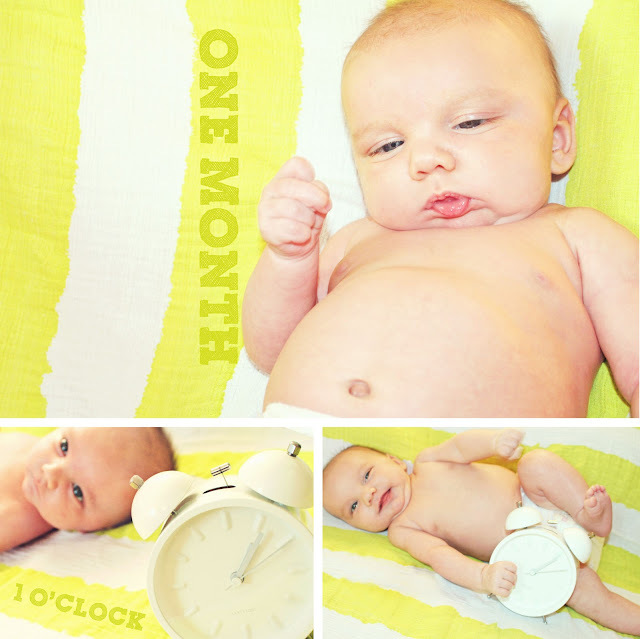 Hope you love my belated 1 month pic....taken at the tail end of his 1 month. ;) I PROMISE to do monthly pics with Mr. bc I know he is gonna be packing some serious pounds as eating is his FAV thing to do! Haha! He is a good looking little man! I can't wait to watch him grow into a young boy.. I love that little chubby dude! !